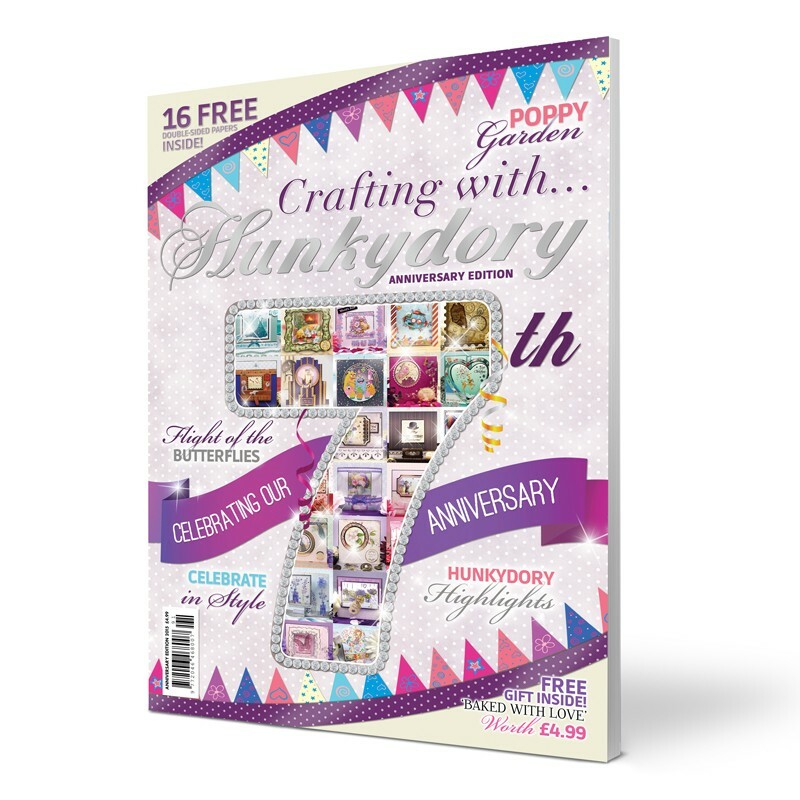 This brand new 7th Anniversary Special Edition 84-page glossy magazine features many detailed and fully illustrated projects made using your favourite Hunkydory Crafts goodies. As a special anniversary treat from us to you, there are exclusive special features including Craig Laird's stamping projects and the Design Team Challenge. This special edition features 16 double-sided papers (in the style of toppers and embellishments) which are perforated for easy removal as and when you need them. Packed with hints and tips for getting the most from your crafting products. Included FREE of charge is the Baked With Love Papercraft Kit worth £4.99 - makes at least five cards!